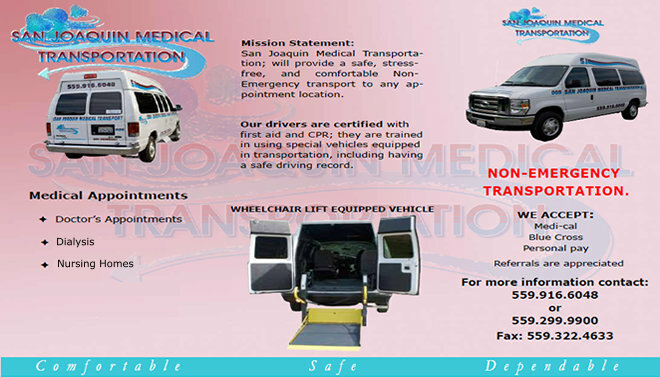 Here are some common questions asked about the Medical Transportation field. 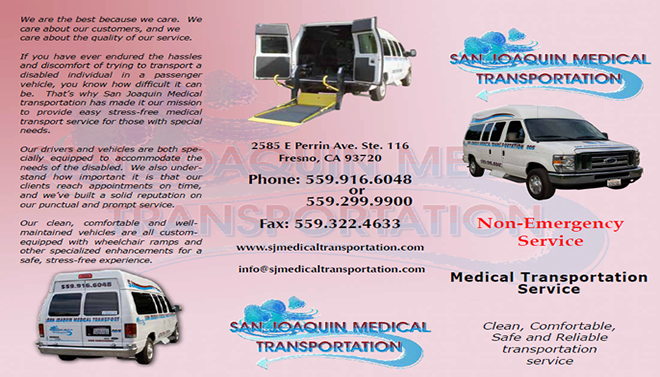 What are San Joaquin Medical Transportation, Inc. service areas? 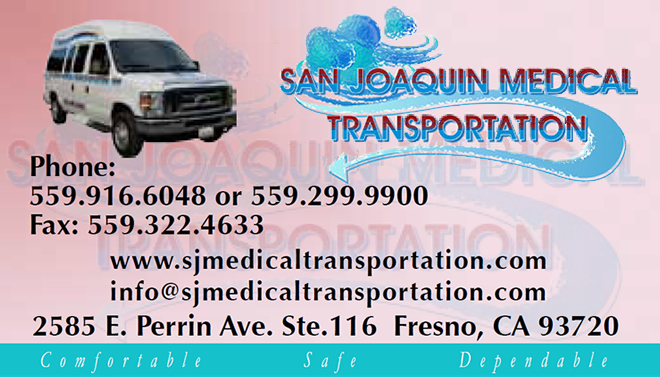 We service Clovis, Coalinga, Firebaugh, Fowler, Fresno, Huron, Kerman, Kingsburg, Mendota, Orange Cove, Parlier, Reedley, San Joaquin, Sanger and Selma.